Having a rubber ducky while one bathes is more or less a rite of passage, at least for those of us who happen to have a bathtub right in the comfort of our own home. However, if we would like to make things more interesting for the little one (or perhaps the child in you), how about picking up something that is slightly different, and yet strangely familiar, in a sense? I am referring to the $11.99 Rubber Ducky LED Bathlight. 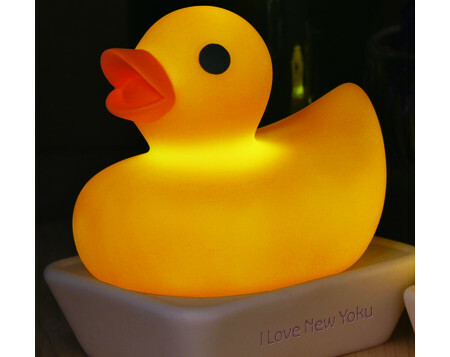 This is one rubber ducky that makes bathtime so much more fun, as it floats around to light up your bath or pool. It is also all the more useful as it comes with a soap bar shaped stand.